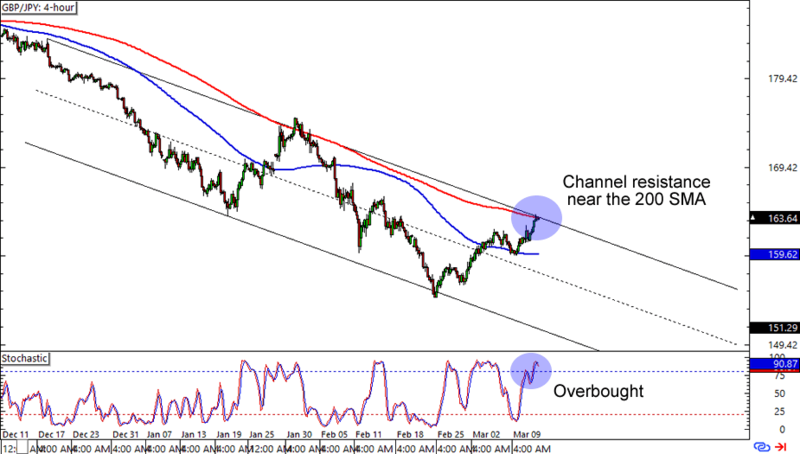 Let’s start off with a nice and simple trend play on EUR/CHF. The pair is currently testing the 1.0950 area, which is near a rising trend line and 100 SMA support on the 1-hour time frame. Stochastic has taken off from the oversold levels, but that doesn’t mean that the euro can’t move higher against the franc. Buying at current levels could set you up for a nice forex trend trade if you believe that the euro is about to see some gains. Of course, you could also wait for a downside breakout if you’re one of them euro bears. 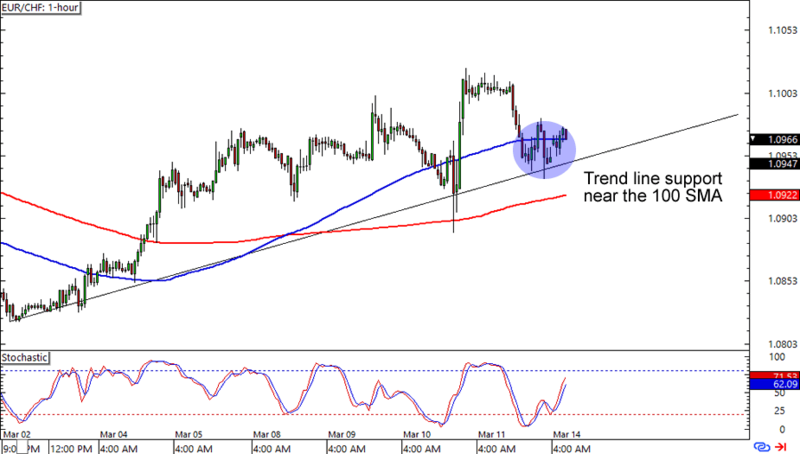 Here’s another one for trend forex traders! GBP/JPY is lollygagging just above the 163.50 area, which is right where a falling channel resistance and 200 SMA are on the 4-hour chart. The icing on top of this sweet setup is an overbought Stochastic signal. Think the pound is in for more losses? Read all about trading in trending conditions if you haven’t done it yet! I spy with my bedroom eyes a reversal opportunity! 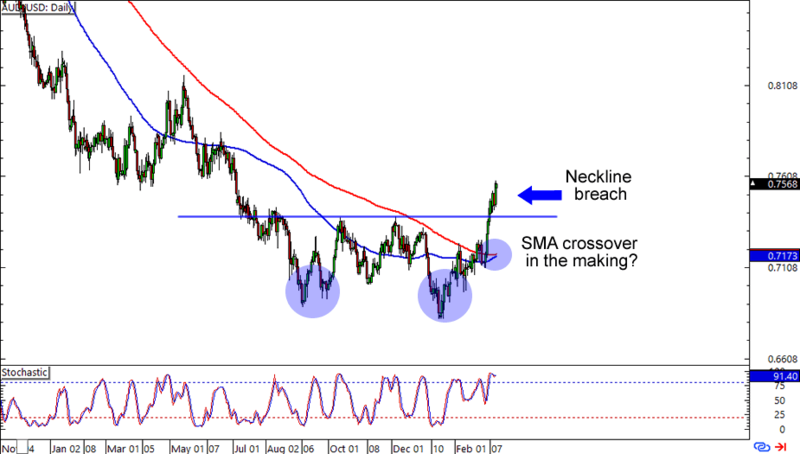 AUD/USD has just breached a possible double bottom neckline on the daily time frame and is headed for a test of the .7600 major psychological handle. Not only that, but it also looks like the 100 SMA is about to cross above the 200 SMA. Are we looking at a reversal in the making? You could buy at current levels if you’re confident about the Aussie’s ascent against the Greenback, but you could also wait for some kind of retest if you’re not too sure about trading forex breakout scenarios like this.